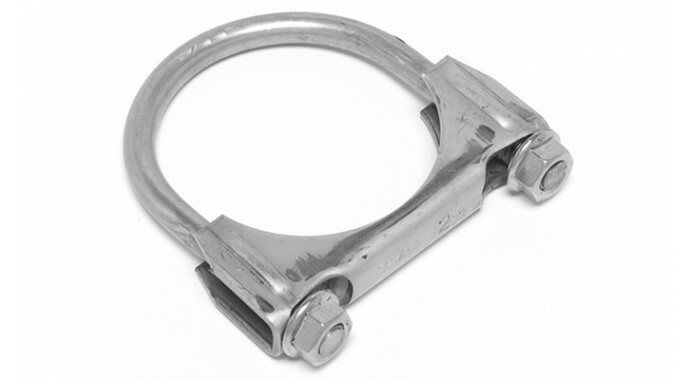 DynoMax® has you covered from the budget friendly U-Bolt Clamp to the great looks and ease of exhaust installation and removal of the polished Stainless Steel Mega Clamp. New to our Clamp offering, the Ac-cuSeal™ Clamp combines the high clamping force of the U-Bolt Clamp with all the advantages of the Mega Clamps. These clamps also have the added advantage of being effective very close to a bend in the pipe where a Mega Clamp would be too wide to seal effectively. DynoMax® Performance Exhaust is a leading brand of dyno-proven exhaust products for muscle cars, pass cars, diesel and gas trucks, Jeeps and sport utility vehicles. Hardware and accessories provide OE-style features and design for greater durability for longer service life. Hardware and accessories are manufactured from premium steel to provide greater durability. Hardware and accessories are manufactured to work seamlessly with all Dynomax® performance parts, making installation quick and easy.